In today's globalized world, individuals live and conduct business on an international scale, and the freedom that comes with it, is enormously attractive. Islands have a way of evolving unique life. Everything from cuisine and culture to nature and architecture take on new life when thrust into isolation. Click to browse through 544 pages of luxury real estate, market insights, food and travel. 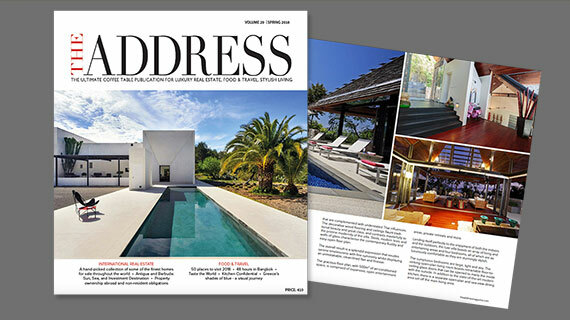 Some information contained in THE ADDRESS magazine may have changed since it was first published. We advise you to contact the company mentioned in each particular article for the latest information.